It has been exactly 200 years since Frankenstein's monster first shuffled through the pages of Mary Shelley's now-classic story, completely reshaping the gothic horror landscape in the process. At the time, no one anticipated the impact that the novel or the woman behind it would have. No one realised that Mary was responsible for the greatest horror novel ever written, either, a title it still holds today. In fact, only 500 copies of Frankenstein: or, The Modern Prometheus were initially printed back in 1818. It was also published anonymously, with Mary's poet husband Percy Bysshe Shelley penning the introduction and originally thought by many to be the text's author. Today, the beast conceived by the teenage Mary has carved a path not only through the literary world, but across cinema screens for more than a century — but, as the movie's title suggests, Mary Shelley doesn't replay Frankenstein's familiar narrative. Instead, Haifaa Al-Mansour's follow-up to 2012's Wadjda subscribes to a different filmmaking trend. Like everything from James Whale's iconic 1930s adaptations, to Tim Burton's gorgeous Frankenweenie, Mary Shelley obviously owes its existence to Frankenstein. But this origin story is more concerned with the early life of its author than with an obsessed young scientist and his resurrected creature. It's not the first time that Mary has earned the biopic treatment, with 1980s flicks Gothic, Haunted Summer and Rowing with the Wind all exploring the woman behind the classic tale. Still, where that trio honed in on the Lake Geneva getaway that sparked Frankenstein into being (the novel originated from a holiday wager among friends to see who could write the scariest ghost story), this movie focuses on Mary's tumultuous adolescence, her relationship with Percy, and the influence of both upon her famous work. Before images even reach the screen, the sound of writing echoes from Mary Shelley. Before Mary (Elle Fanning) has even dreamed of Frankenstein, the film deploys her lyrical prose to set a distinctive mood and tone. Stylistically, that's Al-Mansour's vivid and evocative approach, infusing every moment of the movie with the same passion and poetry that drives its heroine. A willowy yet strong-willed teen, from the outset Mary is either spinning her own tales or reading others in her father's (Stephen Dillane) bookshop. 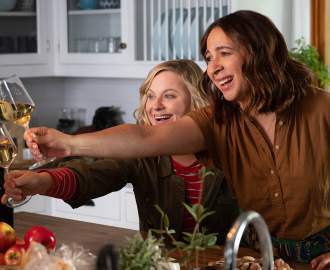 In-between, she fights with her stepmother (Joanne Froggatt) and finds solace with her stepsister Claire (Bel Powley) — until Percy (Douglas Booth) comes along. Although Mary is just 16, and despite the fact that Percy already has a wife and child, the couple is determined to be together. In her debut feature-length script, Australian screenwriter Emma Jensen endeavours to examine a side of Mary's tale that hasn't previously received as much on-screen attention, championing her protagonist's achievements as well as the considerable obstacles that she faced. Neither can be downplayed and nor are they. That said, sometimes the scandalous love story that accompanies them is given a little too much prominence. Indeed, parts of the film feel like a stock-standard period romance that just happens to involve one of the most influential writers who ever lived. 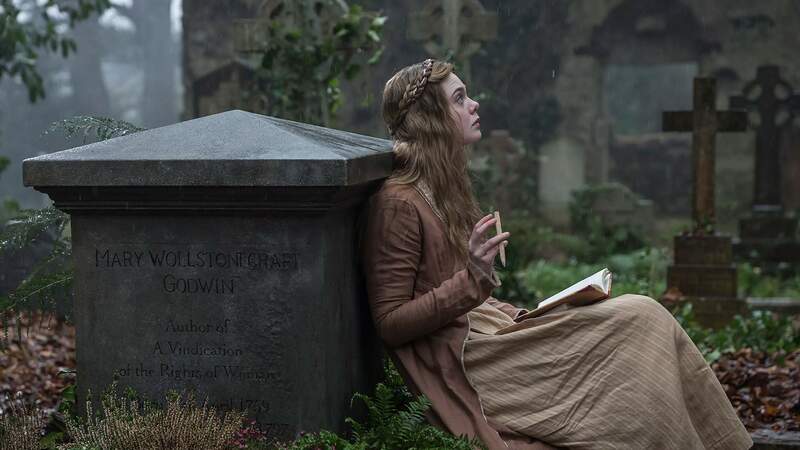 When Mary Shelley connects the dots between Mary's experiences and the book she'll forever be associated with, it's a much more satisfying, moving and involving picture. Likewise, when it delves into Mary's tussles with sexist, dismissive men who can't even conceive of a woman writing such dark, smart and terrifying things, the film comes much closer to doing justice to its subject, her struggles and her continuing importance. Thanks to Fanning's lively and spirited portrayal, there's no doubting the fire that burned inside Mary, even when the film does favour her amorous affairs. Whether surrounded by towers of tomes, scribbling by her mother's grave, or swooning over Percy, Fanning's take on the real-life figure always stands out — from the movie's sumptuous backdrops, which constantly catch the eye, as well as from the romantic plot. It's a performance worthy of the woman it depicts, and it leaves audiences wanting more. The same is true of Mary Shelley, although in a different way. You'll want to keep watching Fanning as she brings the fiercely independent and thoroughly fascinating Mary to life. But you'll also want the movie to flesh out the aspects of Mary's trailblazing existence that it sometimes rushes over.